When the world is a mess, you can fight or shop. 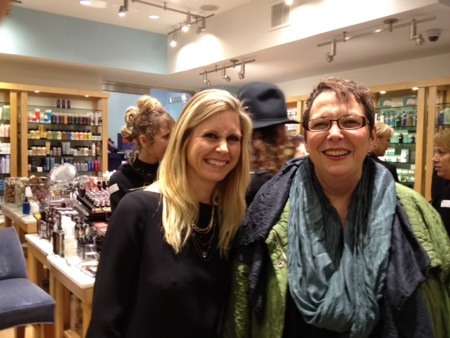 Deep inside the Beltway, a gaggle of women went into a shopping frenzy for beauty products last night. They jack us up on cheap champagne and make us feel that beauty and happiness are just one swipe of a credit card away. And I love it! If you spend, you get 25% off. As one sales person said last night, make up is never on sale, so this is the moment you stock up for the year ahead. I go every year with my friends Amy and Nancy. We develop sophisticated strategies to stop our selves spending too much or ensure that we maximize the discounts and then promptly forget them. We carefully evaluate the products we bought last year and seek out a more perfect purchase. 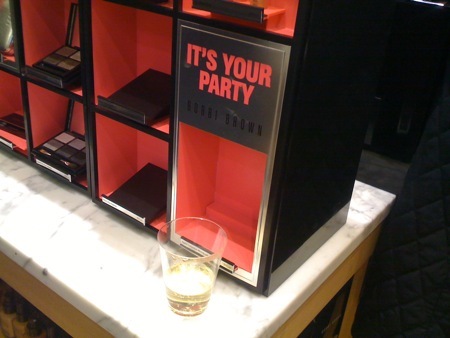 I’ve been a loyalist to Trish McEvoy mascara for about five years…but last night I got abducted into the Bobbi Brown camp…new mascara experience coming right up! And a cream eyeshadow…here’s their recruiter. We all adore the T. LeClerc guy and allow him to paint our pretty lips with new delicious colors. Nancy gets a don’t-mess-with-me red. Apparently, T. LeClerc no longer sells in D.C. so it’s our last fling with Joe. We imagine the only other people buying the silvery encased products are elderly powdered ladies in New York. Amy Austin, the fab publisher of the City Paper and un-friend of a certain NFL football team owner, chats with Blue Mercury owner Marla Beck. And then we’re done. We retreat to the Vietnamese restaurant next door for nourishment and the next best part of the night…the review of purchases, the analysis of strategy, the sharing of regrets, the comparison of free samples, and the inevitable start of the planning for next year. 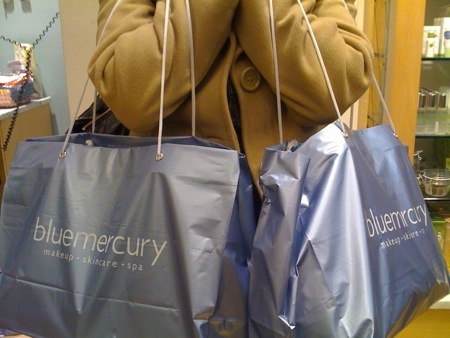 Ah, Blue Mercury night, where the hope of a more beautiful life is never more than a year away. 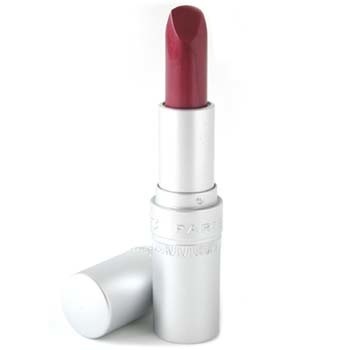 there is a phrase, common in the culture, “lipstick lesbian”… i’ve never asked anyone about this phrase. As a non-makeup-wearer and shopping hater, I feel oddly drawn to this annual ritual. Maybe because I imagine Stella and her friends topping off an evening of power shopping with a cocktail or two, at a bar with a fireplace, as the snow flutters gently down outside. Come to think of it, maybe it’s just this latter part of the evening I’m drawn to. #1 – in the last decade I truly became the LL…I think of it as a compliment rather than consider the complex issues of beauty and power. Let’s face it: lipstick lesbians are the most evolved life form on the planet.